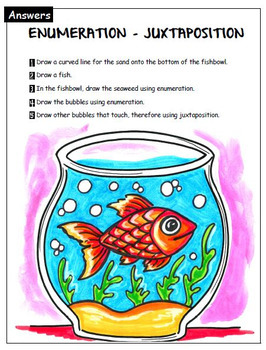 Art exercises for Grades 1 and 2. Visual Art. Language of Art. 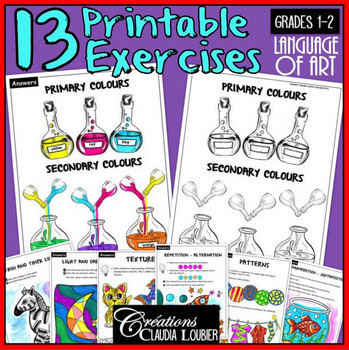 I created these 13 exercises to help with the learning of art terms for Grades 1 and 2. You can use these exercises to validate their comprehension or to introduce your students to something new. You will find an exercise and an answer sheet for each of these terms. You art courses will now be more complete and amusing! You can easily insert them into a workbook. Thank you for visiting my store ! Your comments can help me make my resources better for you. In addition, when you give feedback, you receive TpT credits, which may be used to purchase any product at any store on the Teachers Pay Teachers website (subject to the site’s rules and regulations). Click Provide Feedback to earn TpT credits. • Use this item for your own personal use. 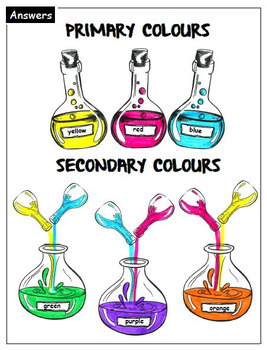 • Use this item for your own classroom and/or students. 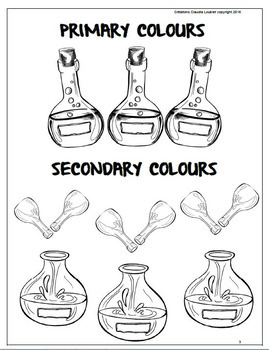 • Copy this item for use in your classroom by your students. • Give this item to others, including other teachers. • Copy this item for use by others. • Post this item on a website, including a personal website, classroom website, or district website. • Copy or modify any part of this document to offer others for free or for sale.